What a great way to spend a couple of hours! On a beach, in the fresh air being creative. 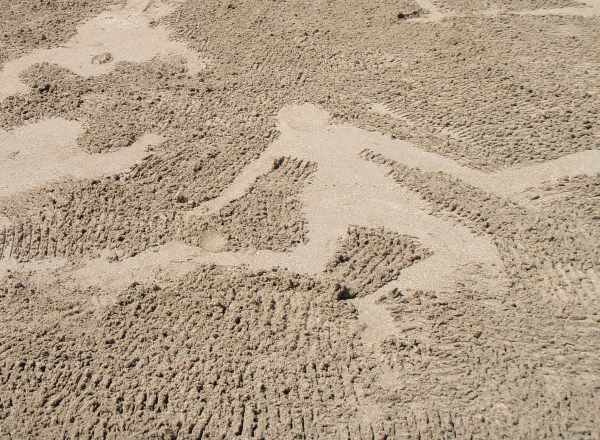 Sand is a very versatile medium, you can do so much with it. 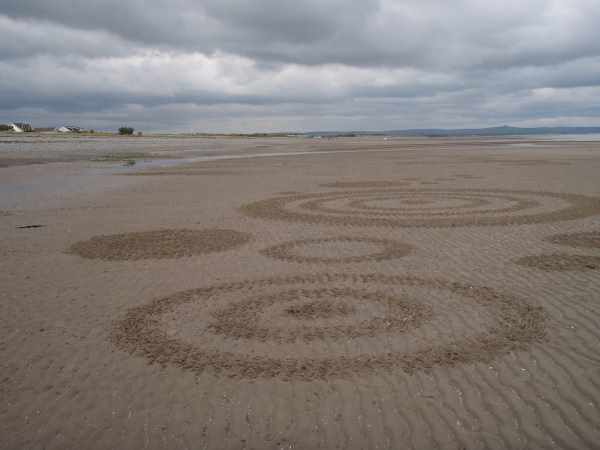 Sandy beaches are like big blank canvases which allow you to create patterns and drawings on a large scale. Your art work does not last for long as they disappear as the tide comes in but you can always create something new the next day. 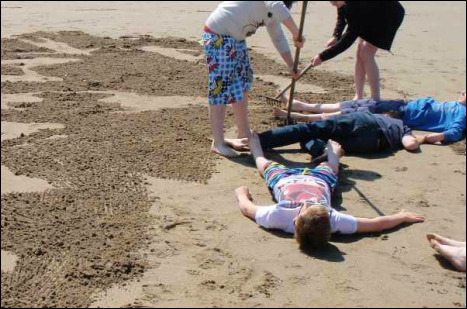 Sand art is great fun and can be done as the tide recedes or at low tide. I have rakes, tide tables and some ideas to get you started if you need them. There are lots of other arty activities to do on the beach if you want to combine them to make a great arty day by the sea.